Imagine your home with the commanding presence of the an original luxury gas fireplace. 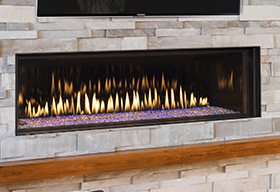 Warming homes since 1890, Valor gas fireplaces are recognized as leaders in advanced heat management. Recognizing homeowner needs and expectations is what separates Valor from the competition. 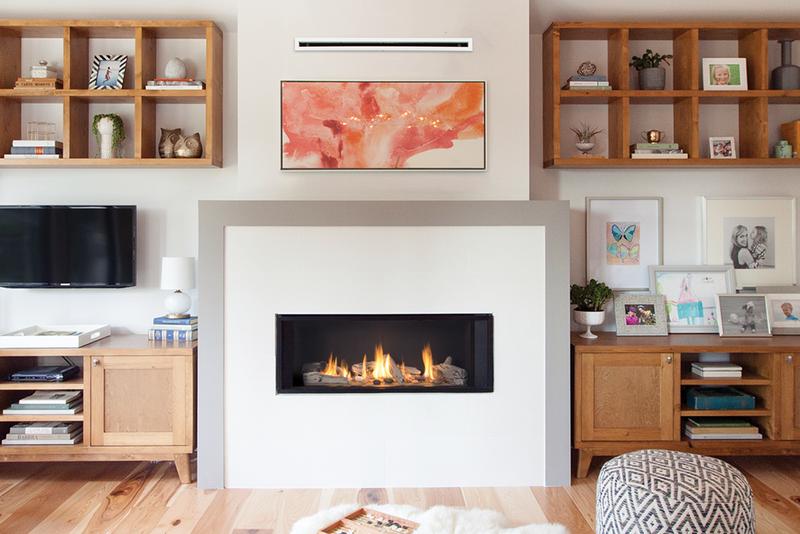 Taking the concept of No Power, No Problem to the next level, Valor introduces a heat management system that redirects fireplace warmth to a higher elevation in the room. 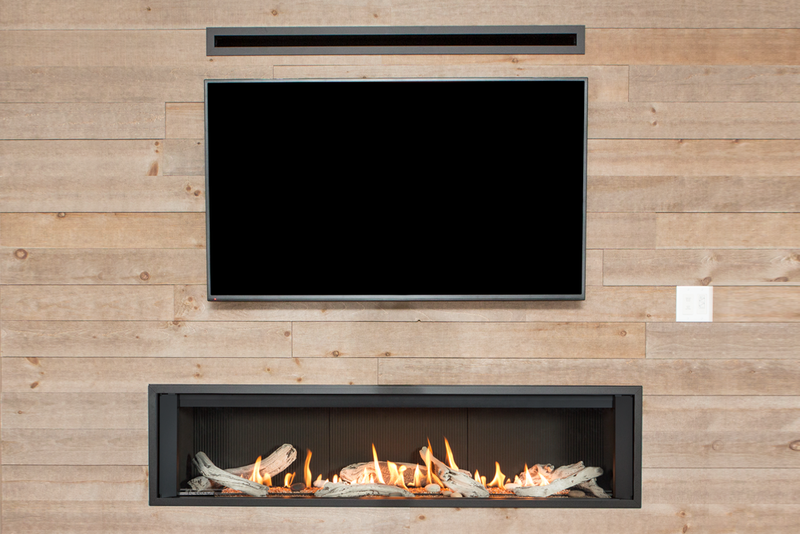 Designed to reduce surface temperatures, the Valor HeatShift System is recommended, especially when adding a wall mounted TV or heat sensitive material directly above the fireplace. In essence, raising the heat outlet improves conventional airflow – reducing wall temperatures and improving overall performance. Excess warm air is then circulated back into the room at a higher elevation. Reduces wall temperatures above fireplace – ideal if placing a wall mounted TV or heat sensitive materials. Run combustible finishing materials right up to the fireplace surround – maximizing installation opportunities. Excess warm air is circulated back into the room at a higher elevation – improving overall performance. 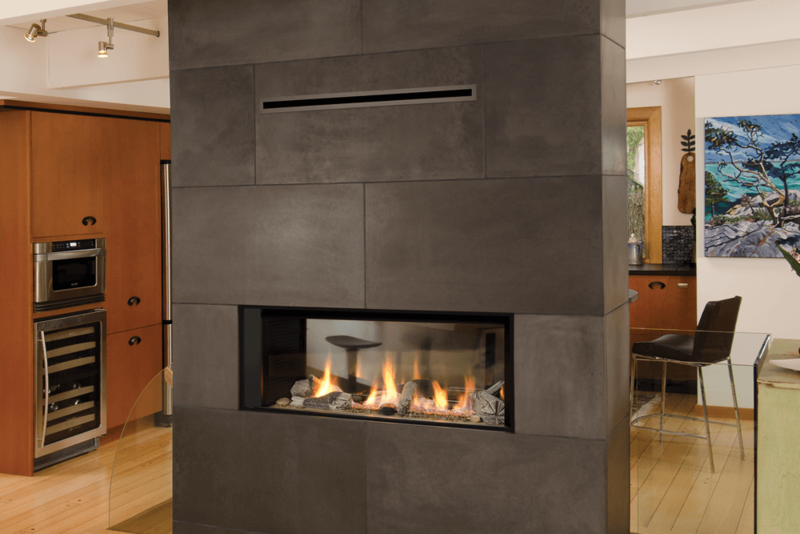 Up to 60% of fireplace heat rises and flows through the HeatShift System and back into the room. Heat is elevated naturally using gravity and Valor product ingenuity. No reliance on electricity or a noisy fan operation. Sleek heat outlet or hidden wall valance – providing heat distribution back into the living space. Easily paint the plenums or grilles to match your design style. Valor’s HeatShift System™ is compatible and recommended with all “J” Series linear fireplaces, as well as the “J” Series H5 & H6 models. HeatShift is a standard accessory on the LX2 3-Sided Series and included in the purchase of the engine. The newest addition to the prestigious Montigo catalogue, The Distinction offers a wide scope of luxury with 63’’ of viewing area. You won’t have to sit close to the Distinction to feel the heat, as it features circulating fans to warm any space. Or enjoy a more gentle flame and heat with the 50% turndown. The unit also comes standard with reflective porcelain liners, multi color LED uplighting, Ceramic glass and a full function remote.